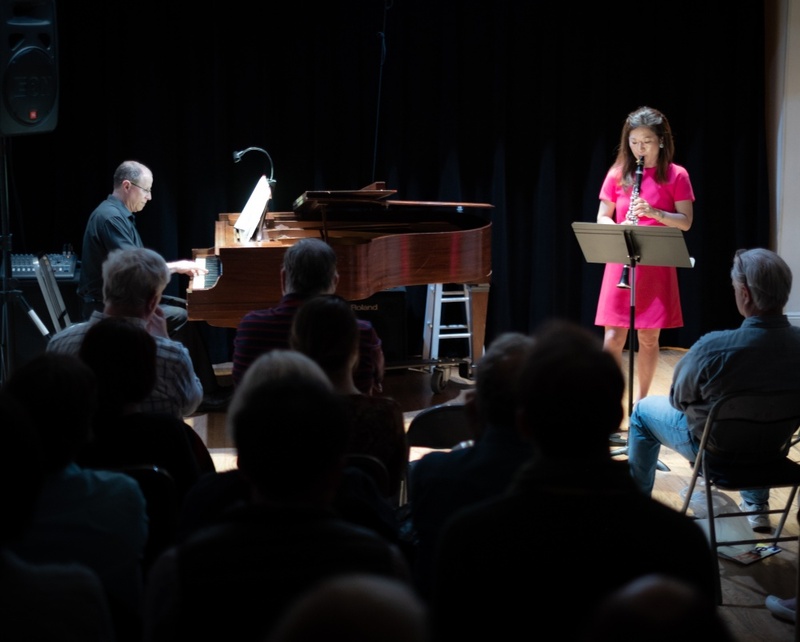 Last night, Seunghee Lee opened Charles R. Hale’s 2018 series “Thoroughly New York.” She was an unequivocal success. 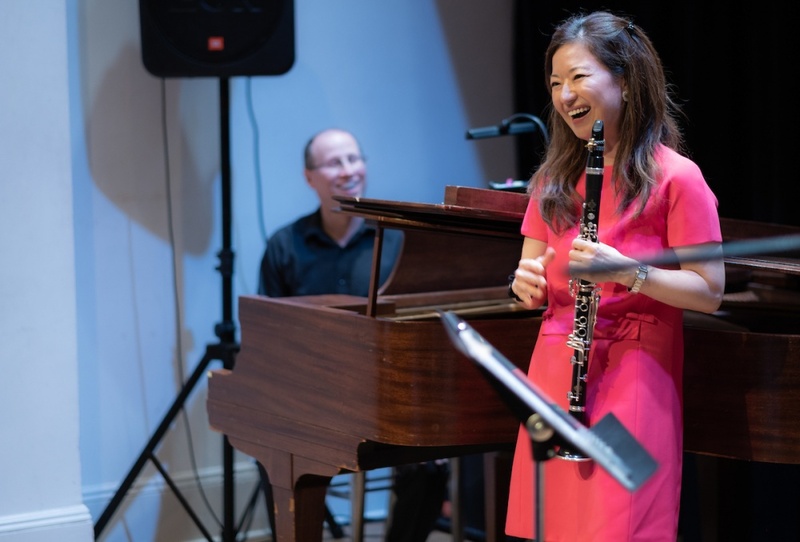 Ms. Lee, a brilliant clarinetist, is a storyteller like Charles, who enhances story through musical performance. Effectively handled, there is a synergy in which the narrative and the music become greater than the sum of their parts. What made this show different is that Ms. Lee was both the musician and the storyteller, engaging the audience with her humor, life experiences and carefully selected musical scores to punctuate each story. It made for a richly rewarding experience. Ms. Lee played her clarinet with ease and grace, but her performance went far beyond her immense musical skills. 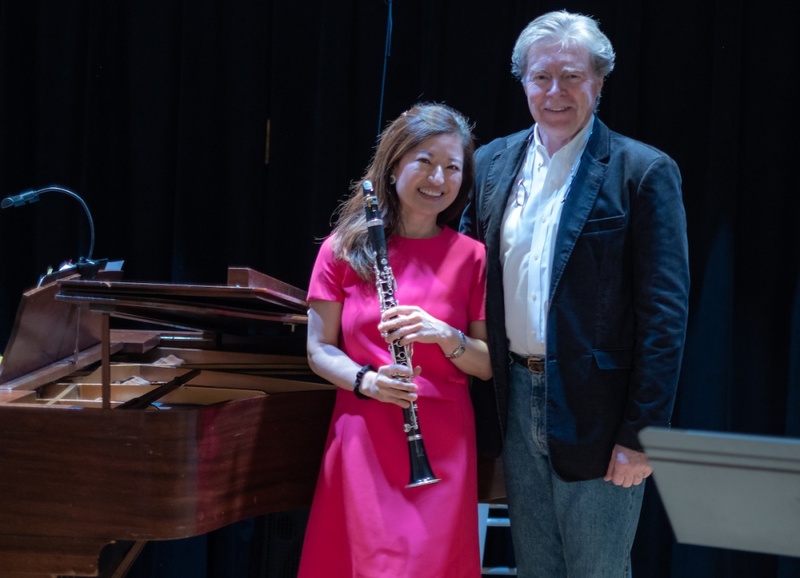 She shared an inspirational story of how she’d arrived at this time and place in her life and how she’d wrestled with her love for music and roles as a clarinetist, a mother and wife. At one point she described a moment in her life when in despair, she gave up her music, but turned it into a humorous moment by flashing a photo onto the screen of her clarinet, in her home, with a lampshade over it. Ms. Lee explained that even though she wasn’t actively using it at that point in her life she did not want to let it go. Clearly, the world is richer because Ms. Lee came back to her clarinet. 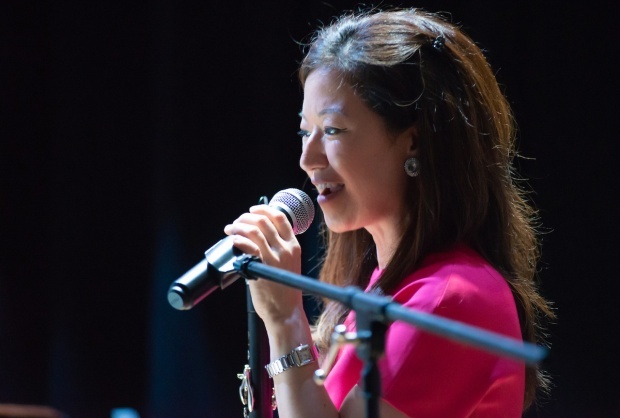 Ms. Lee also regaled us with tales of her love of golf even comparing it to music, noting that each discipline required, “practice, practice, practice…” as well as finding a good teacher, having fun and developing a good rhythm and tempo. 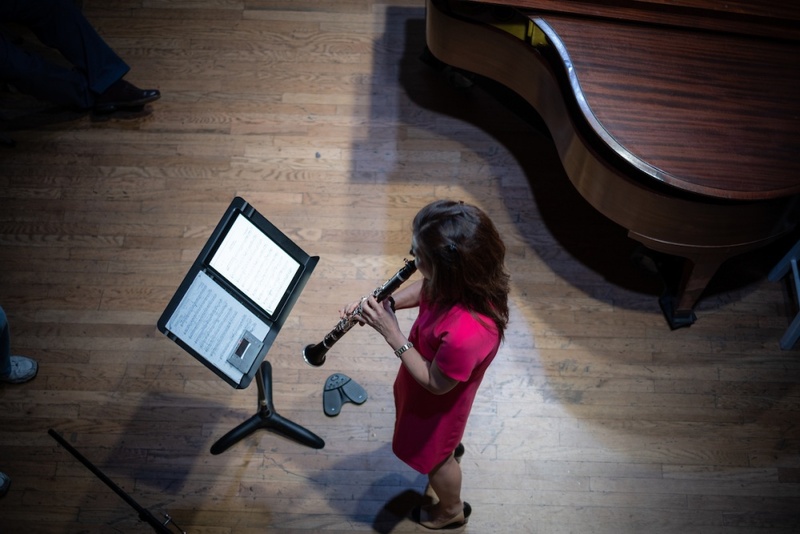 To punctuate the story, she played Gabriel Faure’s 1893 piece, Sicilienne, which she stated gave her a sense of freedom and wonder while she played golf. As the evening progressed, it was clear that little held back Ms. Lee. When it came to performing and her love of her instrument…anything was possible. Nothing underscored that more than her two Puccini arias “O Mio Bambino Cara” from Gianna Schicchi and “Nessun Dorma” from Turandot. I’m an opera fan, but hearing these well known arias performed as clarinet solos was a richly rewarding experience. 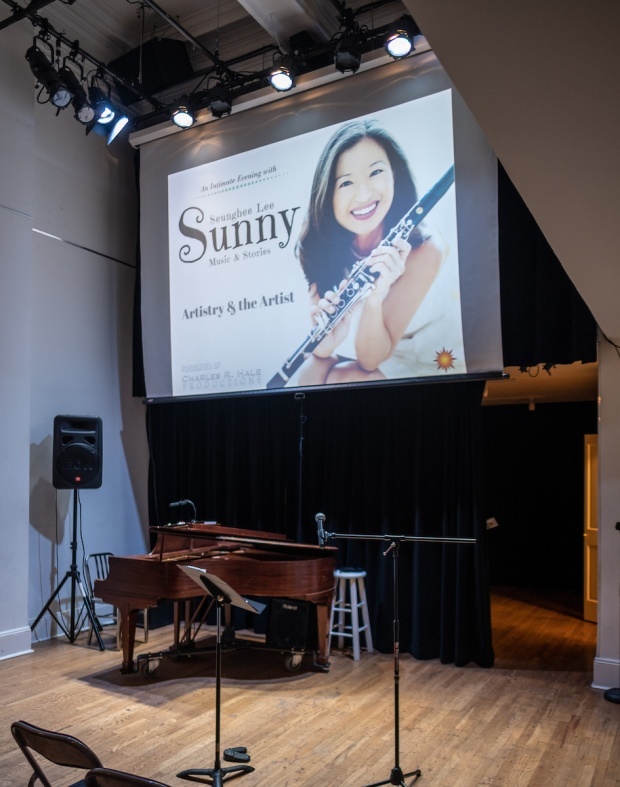 While Sunny performed, accompanied by pianist Evan Solomon, it would have been impossible not to hear Kathleen Battle or the great Pavarotti, whose signature song was Nessun Dorma, singing these arias. Quite riveting. The most moving moment of the evening was Ms Lee’s tribute to her father, who was taken from her in a most unfortunate and untimely manner. 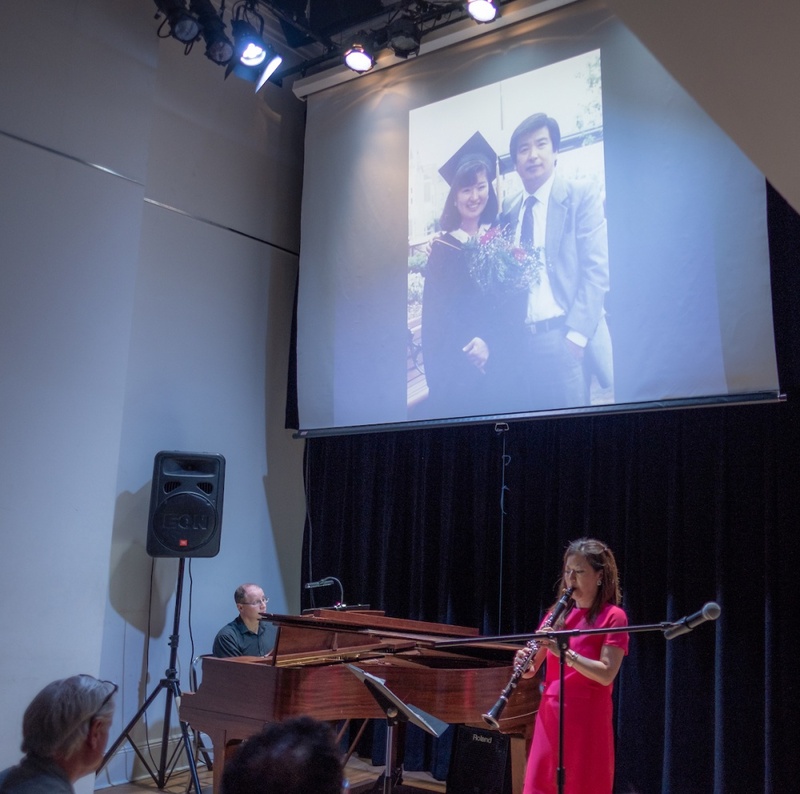 To honor his life, which included introducing her to the clarinet, as well as instructing her, Ms. Lee performed her father’s favorite song, “Danny Boy.” The soul and emotion she put into the song was a magnificent tribute. The audience was on the edge of their seats, the emotion palpable.